Sustaining on-the-job injuries can have a devastating impact on a worker’s life. Workers who are injured at their places of employment are not only left to deal with the excruciating pain associated with their injuries, but they are often unable to return to work for several weeks, months, or, in the worst cases, indefinitely. 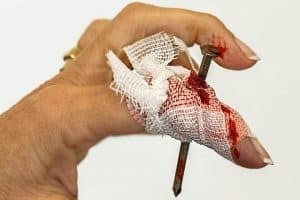 Thankfully, the state of New Jersey has established workers’ compensation laws that help injured workers obtain restitution and various other benefits in the event of being injured on the job. Although it is true that some professions place workers at an increased risk of being injured on the job, accidents can happen in any environment. When work injuries occur, it is crucial for workers to recognize the legal options they have for dealing with their injuries and maintaining their finances while out of work. Workers’ compensation laws are extremely beneficial to workers as well as companies. These laws provide protection for workers who are injured on the job by ensuring they are able to maintain some semblance of financial stability during their recovery. Not only are workers able to utilize such benefits to gain weekly income, but they are also covered for all medical treatments under workers’ compensation laws. Unfortunately, being injured on the job alone doesn’t guarantee a worker can access benefits they are entitled to. Quite often, workers’ compensation providers will deny claims or prolong the process for injured workers. If you are injured on the job, it is crucial to contact a workers’ compensation attorney as soon as possible to help you file your claim. The lawyers at Brady, Brady & Reilly, LLC have decades of experience successfully representing New Jersey workers who have incurred on the job injuries get the full and fair settlements for their injuries and losses and we can help you too. Workers in New Jersey who are injured on the job may be able to collect reimbursement during their time off the worksite. The right to compensation is provided to employees based on workers’ compensation laws. Workers’ compensation is a type of insurance coverage that protects both employees who are injured at work and their employers. The requirement for workers’ compensation is that the injury must have occurred during the course of their employment. Numerous laws are in place to govern how the workers’ compensation system works. For this reason, the process of filing claims can be overcomplicated, especially for individuals who have never filed a claim before. In addition to having abstruse filing requirements, insurance companies often exercise their expertise of the law against workers to take advantage of them. As a result, workers’ compensation companies routinely deny injured workers the compensation for which they are entitled. Working with a seasoned workers’ compensation attorney from Brady, Brady & Reilly, LLC will ensure that you are able to get the most compensation allowed by the state of New Jersey for your injuries. These are benefits you are entitled to without all the hassle. Does Being Injured At Work Always Guarantee A Person Will Receive Workers’ Compensation Benefits? Being injured at work is not a guarantee that a worker is entitled to compensation for their injuries. Unfortunately, this is one of the most common misconception workers in New Jersey have. Workers often assume they are entitled to compensation benefits regardless of their work circumstances. In New Jersey, worker’s compensation laws dictate whether a person is eligible for redress and other benefits when injured on the job. In order for a worker to be eligible, they must provide adequate proof that their injury, illness, or disease occurred as the direct result, or related to, an injury that they sustained while working. In the event that you were injured at work, the attorneys at Brady, Brady & Reilly, LLC can help you prove your case and get you the benefits you deserve. What Does An Injured Worker Have To Prove For Workers’ Compensation Benefits In New Jersey? The worker must receive a medical report regarding the injuries, which should highlight details of the injury regarding how it occurred, where it occurred, and the nature of the incident. Successfully meeting all of these requirements for your claim can help you get the compensation you are entitled to and other benefits under workers’ compensation laws. Unfortunately, meeting all of these elements is not always a guarantee for instant benefits, as most insurance companies file disputes against workers in an effort to deny their claims. Even if you are successful in demonstrating that you do qualify for workers’ compensation, it is crucial to present evidence to help substantiate your claim whenever possible. Working with an attorney from Brady, Brady & Reilly, LLC who has extensive knowledge of workers’ compensation laws can ensure you recover the benefits you deserve so you can focus on your recovery without the added stress. What Workers’ Compensation Benefits Are Available For New Jersey Workers? Financial Recompense For Lost Wages: Workers who are wounded on the job are able to receive up to 2/3 of their average weekly salaries, based on their pay amounts at the time the incident occurred. Under New Jersey law, workers who are entitled to compensation from work injuries are able to obtain between $246 and $921 a week in wages during their recovery. Partial Disability Benefits: Workers may be able to recover reduced earning restitution if they suffer a partially disabling injury or illness while at work. Working with an experienced workers’ compensation attorney will ensure you are able to obtain the benefits you are entitled to by law. Coverage For Medical Treatment: Workers who are injured on the job most likely have to go through surgery, therapy, and other medical treatments for their injuries or illnesses. Workers’ compensation laws in New Jersey guarantee workers do not have to pay any medical expenses for their treatments out of pocket. Financial Compensation For Injuries To Extremities: If workers sustain injuries on their hands or legs, they may be entitled to additional benefits. Even if the injury does not prevent a worker from continuing their employment, these benefits are still available in certain cases. Reimbursement For Out Of Pocket Expenses: Workers injured on the job are entitled to recover repayment for any out-of-pocket expenses they sustained as a result of their injuries. These include costs for mileage to doctor’s appointments, prescription medications, bandages, and therapy. This reimbursement is provided in cases where workers have to pay co-pays or other related expenses for treatments. Neck Injuries: Workers often sustain neck injuries while on the job in instances where they suffer falls or where workers are struck by falling objects. Neck strains and whiplash can have a severe impact on a worker’s range of motion. Workers who are unable to move their neck efficiently and as easily as they would expect can be quite limited in what activities they are able to perform, both at home and at work. Additionally, neck injuries can result in overwhelming pain and suffering. Back Injuries: Workers who are charged with lifting heavy objects, and those working with inadequate safety equipment, are at an increased risk of suffering severely debilitating back injuries. Workers can throw out their back or sustain injuries that can drastically limit their range of motion and ability to continue performing the tasks required of their job. Back injuries often require extensive treatment and surgery to recover. Spinal Cord Injuries: Workers who drive for a living or work with heavy machinery daily are at an increased risk of suffering spinal cord injuries on the job. These injuries can lead to excruciating pain and may result in temporary or permanent paralysis. These injuries often have a major impact on a worker’s ability to perform the duties of their job. Shoulder And Arm Injuries: Workers who engage in a lot of heavy lifting or those who utilize heavy work equipment are at an increased risk of sustaining joint or muscle injuries on the job. Slip and fall accidents are another leading cause of shoulder and arm injuries. These injuries can prevent workers from performing duties of their job, especially when lifting equipment or operating machines is required. Leg Injuries: Slips and falls are the leading cause of leg injuries on the job. There are also cases where victims have large objects fall and crush their legs. Workers who suffer bone, muscle, and tissue damage are often unable to perform the duties of their job until they recover. This type of injury often requires surgery and extensive therapy. If you are ever injured while on the job in New Jersey, it is imperative for you to document the incident as thoroughly as possible. You will want to take photographs of the scene of the accident and get immediate medical attention. Doing these tasks will greatly assist you in recovering the maximum amount of benefits under workers’ compensation laws. Contacting an attorney at Brady, Brady & Reilly will greatly improve your chances of filing a successful claim for workers’ compensation benefits for your injury. Can A New Jersey Worker Lose Their Job For Filing A Workers’ Compensation Claim? A lot of injured workers hesitate to file workers’ compensation claims because they fear that their job may be at risk for doing so. Fortunately, workers’ compensation laws are in place to protect both the injured worker and the employer in the event of an injury. Workers who file claims are not at risk of losing their jobs as these insurance policies generally provide workers’ job security. Companies who maintain workers’ compensation plans do not have to pay the injured workers directly. Instead, they opt for these policies to ensure injured workers are able to receive financial payment while off work without impacting the company’s bottom line. Workers’ compensation benefits are handled through the insurance company, so they are not generally viewed as a financial loss or obligation for companies in New Jersey. Every day, workers across the state of New Jersey report to their place of employment to earn a paycheck while working for companies they love. Unfortunately, injuries can happen at any time. Individuals who sustain injuries on the job often worry whether they will be able to get the medical attention they need for their injuries and still be able to pay their bills and expenses. Thankfully, workers’ compensation laws are in place to protect workers during their time of need. Workers should not have to choose between getting help and earning their wages, which is why it is imperative for workers to obtain the workers’ compensation benefits they are entitled to. If you are injured on the job, it is crucial to contact an attorney as soon as possible to assist you with filing your claim. For over 50 years, attorneys at Brady, Brady & Reilly, LLC have helped accident victims obtain compensation and benefits they deserve. Our team of knowledgeable and experienced attorneys is dedicated to helping accident victims get the financial help they need so they can focus on recovering. Sustaining an injury on the job does not have to prevent you from taking care of your financial obligations. Contact Brady, Brady & Reilly, LLC at (201) 997-0030 to speak with a reputable workers’ compensation attorney who is willing to fight aggressively to protect your rights.